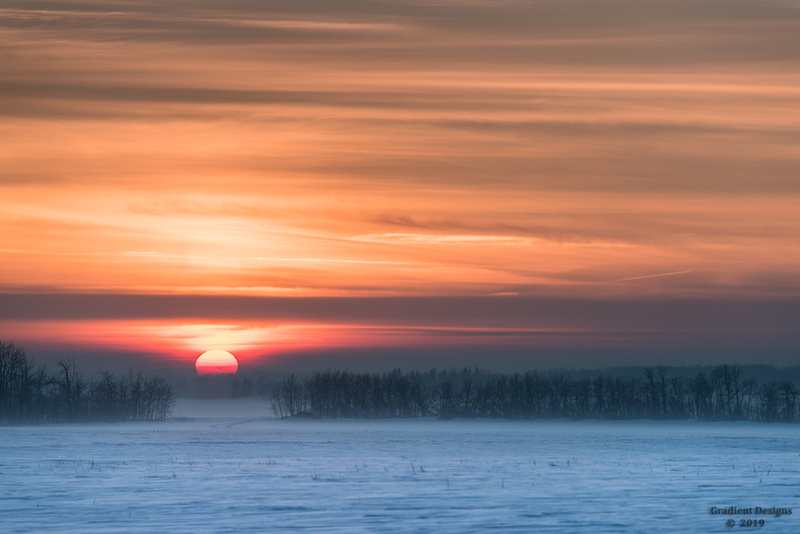 A rare sight to see in the Winter...but a combination of an inversion and mild ground fog created a perfect atmosphere for this sunset. Please view full size against a dark b/g by clicking on the image. Wow- gorgeous and unique- even the warm color of the sun belies the very cold feeling of this picture- makes me shiver! But what beauty, too. Magnificent sky. Love these wonderful portrayals of your homeland. Beautiful John.....I felt like I was there! Perhaps my favorite photo of yours to date. Excellent! Such a stunningly beautiful view, John! What a feast for the eyes, and the soul. This is a beautiful capture John.